Insomniac Events today revealed the full artist lineup for this year’s Electric Daisy Carnival (EDC) Las Vegas, set for May 17, 18, and 19 at the Las Vegas Motor Speedway. Over 240 artists made the list, including Alesso, Alison Wonderland, Armin Van Buuren, Deadmau5, Dillon Francis, Diplo, Illenium, Jamie Jones, Kaskade, Martin Garrix, Rusko, Skream, Tiesto, Zhu, Green Velvet & Claude VonStroke’s Get Real, Gorgon City b2b CamelPhat, and many more (see full graphic below). The lineup was teased in a special “Music Through Music” episode of Pasquale Rotella’s Night Owl Radio released last night, which featured a mega mix of artists that will perform on each stage. As in year’s past, Insomniac’s various brands will curate multiple stages at EDC Las Vegas, with HARD (cosmicMEADOW), Factory 93 (neonGARDEN), Bassrush (bassPOD), Basscon (wasteLAND), Dreamstate (quantumVALLEY), and Insomniac Records (stereoBLOOM) dotting the landscape of EDC Las Vegas’ largest festival footprint at the Speedway to date. This year’s EDC theme is “Kinetic Energy,” which was announced with the help of Bill Nye “The Science Guy” last month. EDC Las Vegas tickets are still available, starting at $359 for a general admission three-day pass exclusive of taxes and fees. For the second year in a row, onsite camping is available. Camp EDC packages include two sizes of provided air conditioned ShiftPods, which feature bedding and USB power outlets. RV passes can also be purchased. Camp EDCers enjoy an exclusive Thursday night pre-party, daily pool parties, yoga and other workshops, early/expedited entry into the venue, and the avoidance of traffic to and from EDC each day. 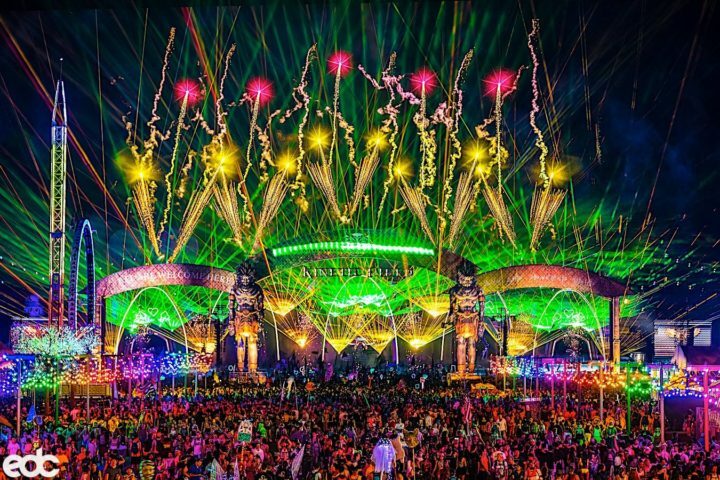 Electric Daisy Carnival (EDC) is Insomniac’s long-running flagship festival, featuring over 250 artists performing on eight massive themed stages surrounded by carnival rides, roaming performers, and nearly 140,000 attendees per day. After a 10 year run in Los Angeles, in 2011 the festival expanded to three days, moved to Las Vegas and signed a 10 year contract at the Las Vegas Motor Speedway. Also surrounding the festival is EDC Week, a series of events at the nightclubs and dayclubs on the Las Vegas Strip.